Community sports facilities are integral to village life and in Rockland, Norfolk we developed a new three acre field as an extension to the existing playing field with a view to accommodating both junior and senior football pitches. 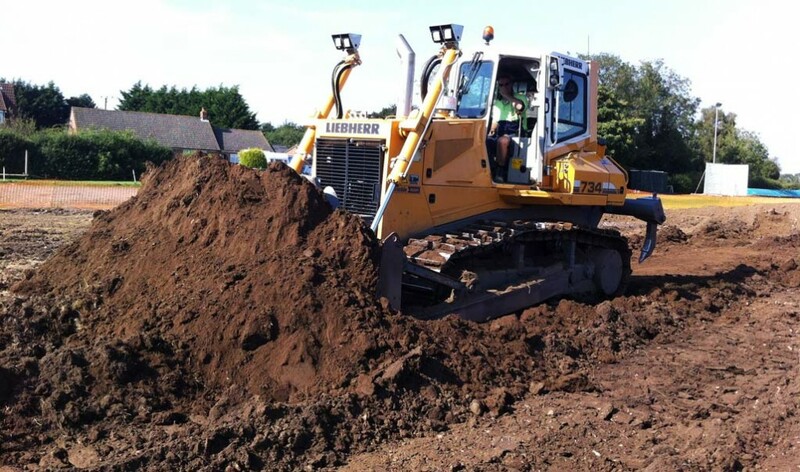 Our team initially cleared tree stumps and removed old ditches before work started on stripping topsoil off the whole field and storing it so the sloping field could be laser-levelled before the topsoil was replaced. We then seeded the area with sports field grass seed and removed stones from the surface before managing the field’s ongoing maintenance so it’s in a healthy condition for ongoing use. This local community project was grant aided and enabled wider sporting participation from people of all ages across the village.